“President Barack Obama, in his 2011 State of the Union Address, called America “the nation of Edison and the Wright brothers” and “of Google and Facebook.” U.S. Chief Information Officer, Steven VanRoekel, said that America has become a “Facebook nation” that demands increased transparency and interactivity from the federal government. Facebook as a nation in 2012 would be the third largest country in the world with over 900 million citizens, after China and India. 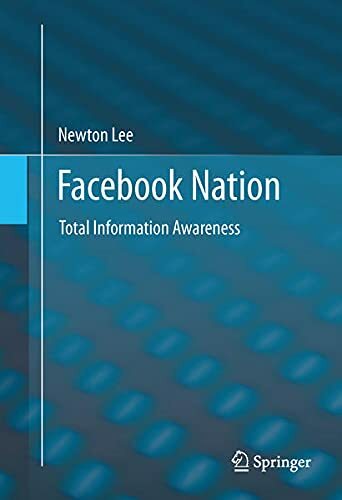 This book portrays the social media ecosystem as a world of increasing Total Information Awareness, which is essentially a civilian version of the controversial Total Information Awareness program unveiled in 2002 by the Defense Advanced Research Projects Agency (DARPA) at the U.S. Department of Defense. Back in the 60’s, DARPA initiated and funded the research and development of Advanced Research Projects Agency Network (ARPANET) that went online in 1969. The success of ARPANET gave rise to the global commercial Internet in the 90’s and the new generation of Fortune 500 companies today including Amazon.com, Google, eBay, and Yahoo!. 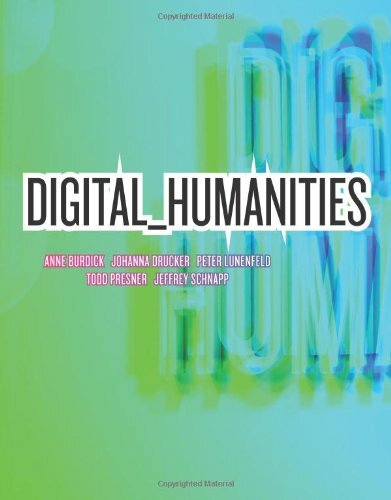 As if life comes full circle in the 21st century, private businesses and the ubiquity of social networks such as Facebook, Google+, Twitter, and YouTube are creating the technologies and infrastructures necessary for the DARPA-proposed Total Information Awareness program. An urgent look at how a global math elite is predicting and altering our behavior — at work, at the mall, and in bed. Every day we produce loads of data about ourselves simply by living in the modern world: we click web pages, flip channels, drive through automatic toll booths, shop with credit cards, and make cell phone calls. Now, in one of the greatest undertakings of the twenty-first century, a savvy group of mathematicians and computer scientists is beginning to sift through this data to dissect us and map out our next steps. Their goal? To manipulate our behavior — what we buy, how we vote — without our even realizing it. In this tour de force of original reporting and analysis, journalist Stephen Baker provides us with a fascinating guide to the world we’re all entering — and to the people controlling that world. The Numerati have infiltrated every realm of human affairs, profiling us as workers, shoppers, patients, voters, potential terrorists — and lovers. The implications are vast. Our privacy evaporates. Our bosses can monitor and measure our every move (then reward or punish us). Politicians can find the swing voters among us, by plunking us all into new political groupings with names like “Hearth Keepers” and “Crossing Guards.” It can sound scary. But the Numerati can also work on our behalf, diagnosing an illness before we’re aware of the symptoms, or even helping us find our soul mate. 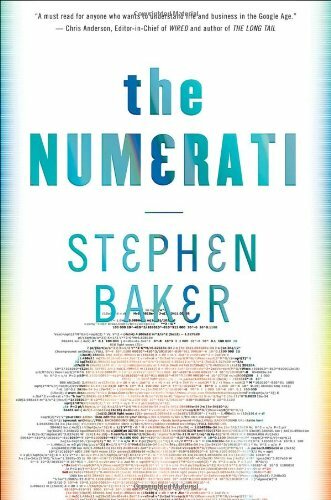 Surprising, enlightening, and deeply relevant, The Numerati shows how a powerful new endeavor — the mathematical modeling of humanity — will transform every aspect of our lives.